PST Sport’s synthetic grass goalmouth system offers the perfect solution. Our expert installers can fit a small area of synthetic grass in front of the goalmouth that is wear resistant and leaves your goal area in top condition all year round. PST Sport design and install synthetic grass goalmouth systems that solve the huge wear and tear issue that affects the performance of players and goalkeepers. 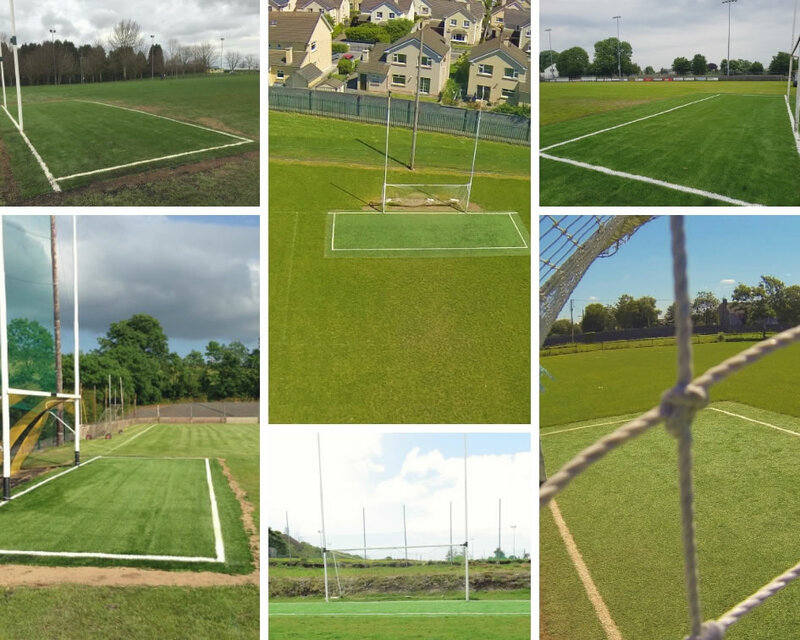 Throughout Ireland and the UK PST Sport have transformed high traffic, high maintenance natural sod goalmouths into athlete friendly, easy-to-maintain, cost effective areas. 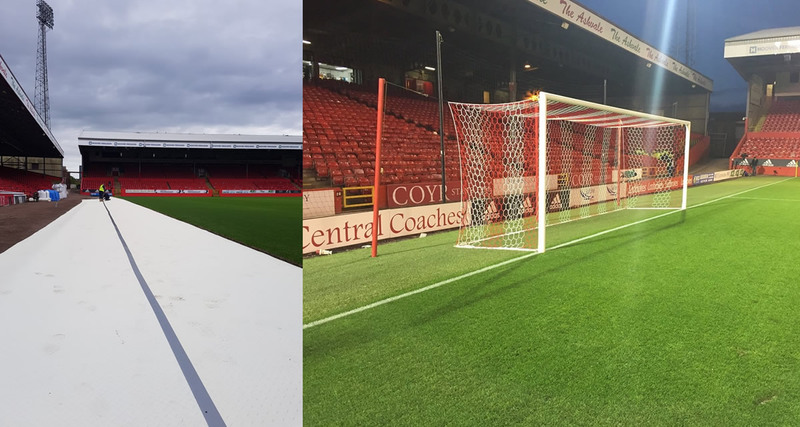 Are you fed up of worn, unsightly non-performing goalmouths? In both football and GAA pitches it’s very common to see badly worn, muddy areas in front of the goal posts due to the high volume of play that occurs there. An area of huge importance, the goal area is usually the area in the worst condition. Goalkeepers can have problems. PST Sport’s mono filament synthetic grass is recognized the world over as a high performing carpet, giving optimal playing conditions throughout the year. Installation is quick and easy and with huge advancements in synthetic grass our solution is the closest thing to natural grass. Be it the 6 Yard Box or the GAA Small Square goalkeepers can dive, go on their knees, spread themselves or slide without risk of injury. Long-Lasting – Installing an synthetic goalmouth is a long-term investment. PST Sport’s synthetic grass comes with an 8-year warranty, however with correct maintenance the life span will stretch for many years after the warranty expires. 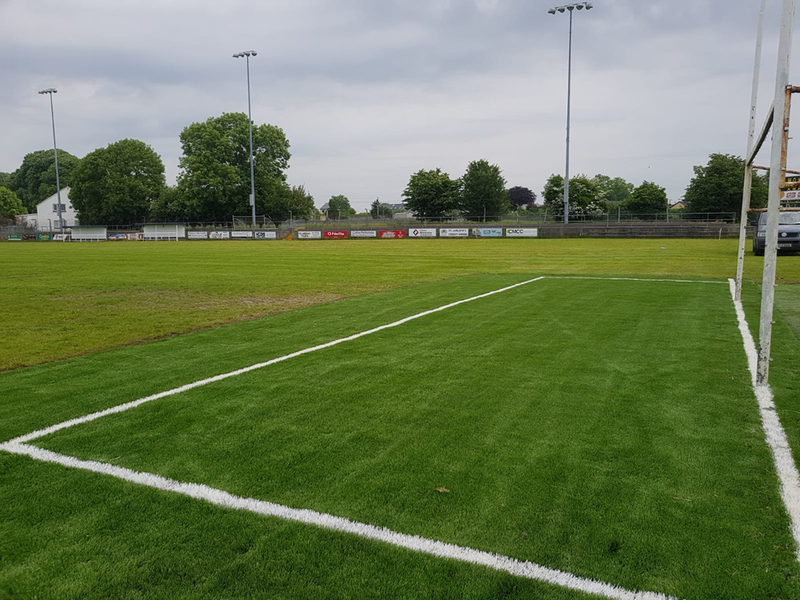 With the amount of time and money spent keeping a natural grass goalmouth in optimal condition it makes sense to change to PST Sport’s synthetic grass system. Protects Your Goalkeeper – One of the most important areas of the pitch is often in the worst condition. With PST Sport goalmouths the area is going to be in tip top playing condition throughout the year. This allows players to dive, get down on the ground and collect the ball without worrying about the terrain. Also, with white lines installed in GAA goalmouths, the referee will have a clear view of who is breaching the square ball rule, giving goalkeepers further protection. Improves the Look of the Entire Pitch – An synthetic grass goalmouth greatly improves the look & quality of the entire pitch. Closest Thing To Natural Grass – Our synthetic grass is the closest thing to natural grass without the high maintenance costs. In addition, the dual-fibre technology used in PST Sport’s Terra Turf ensures a consistent bounce and roll of the ball. PST Sport artificial grass is ideal for the high traffic areas in front of the dugout / technical area. The surface can become badly worn in natural grass pitches resulting in unsightly bare spots, particularly in high traffic areas. An area of artificial grass will provide a clean and safe surface and will enhance the overall look of the pitch. Our expert installers can fit a small area of synthetic grass, tailored to your specific needs to upgrade your dugout.